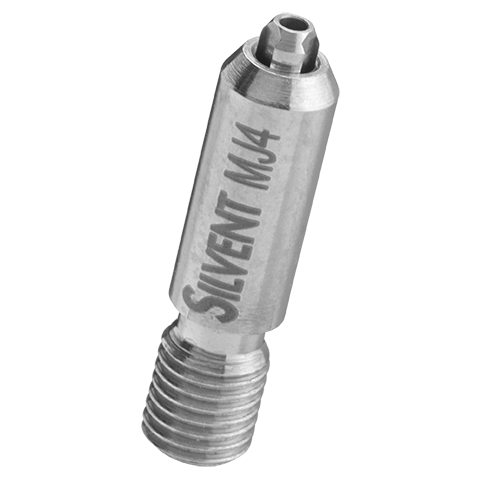 SILVENT MJ4-QS is a micronozzle made of stainless steel. 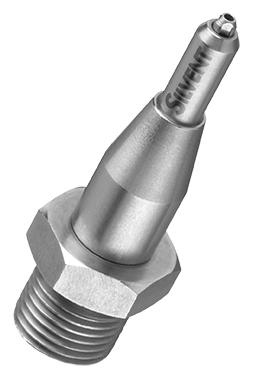 The nozzle is designed with a central hole in combination with surrounding vents. 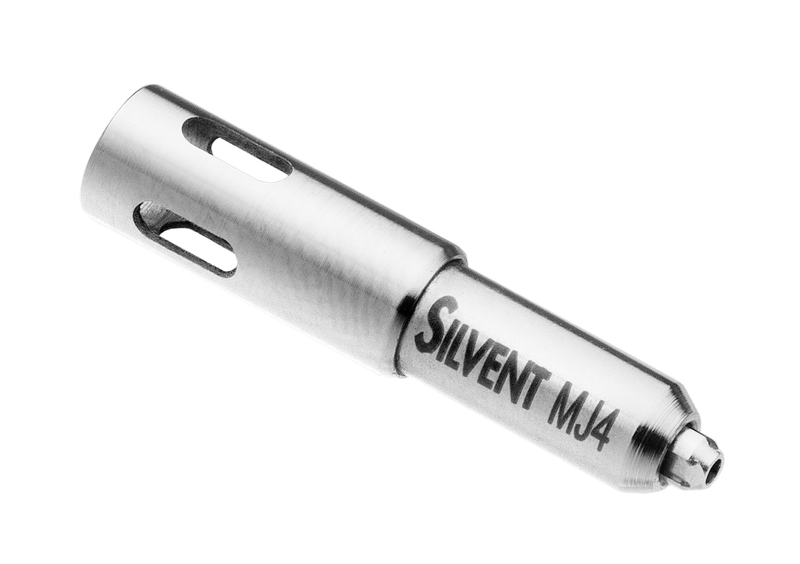 SILVENT MJ4-QS is equipped with an adapter, which can be easily installed on an existing, open pipe. The adapter makes installation easy, smooth and quick, with no impact on the equipment. 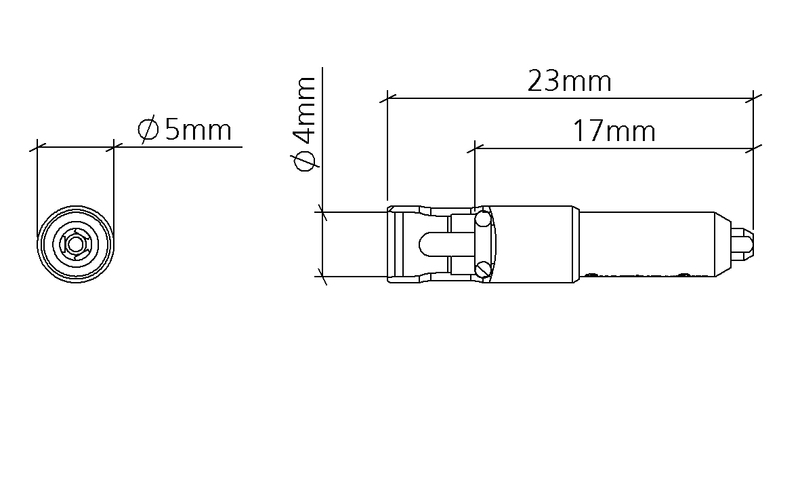 The small mounting dimensions for the nozzle can fit on most machine designs.